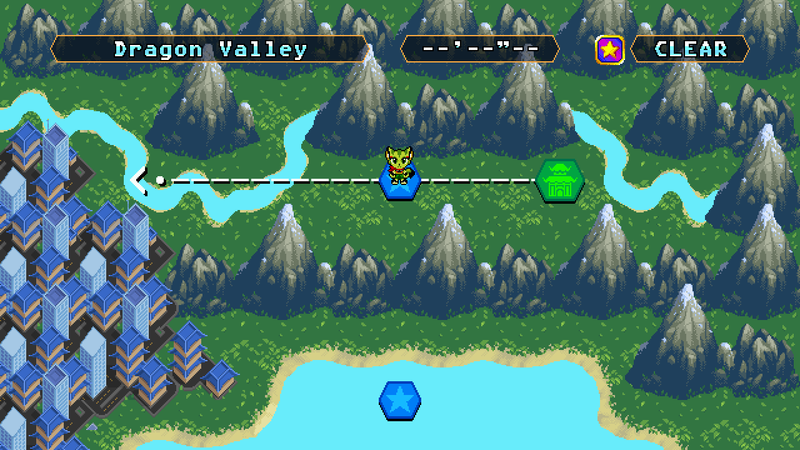 Adventure mode features a world map where new locations are unlocked as you progress through the story. Travel through the three kingdoms in style! 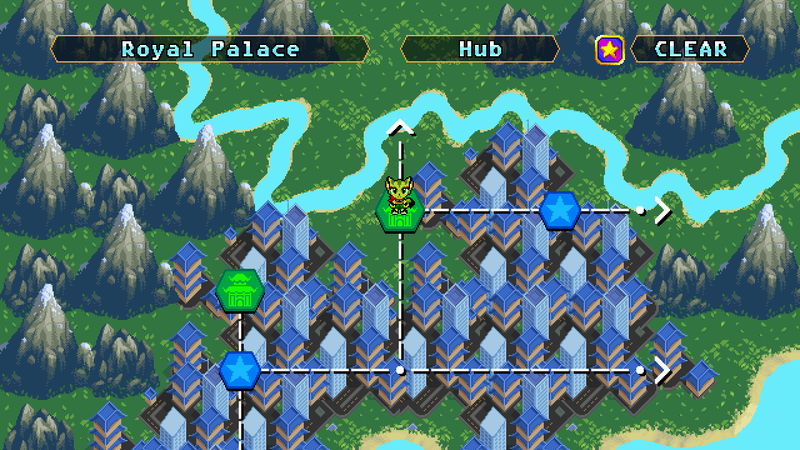 Exclusive to Adventure are the hub areas, where you can interact with citizens, buy items from merchants, and advance the plot. 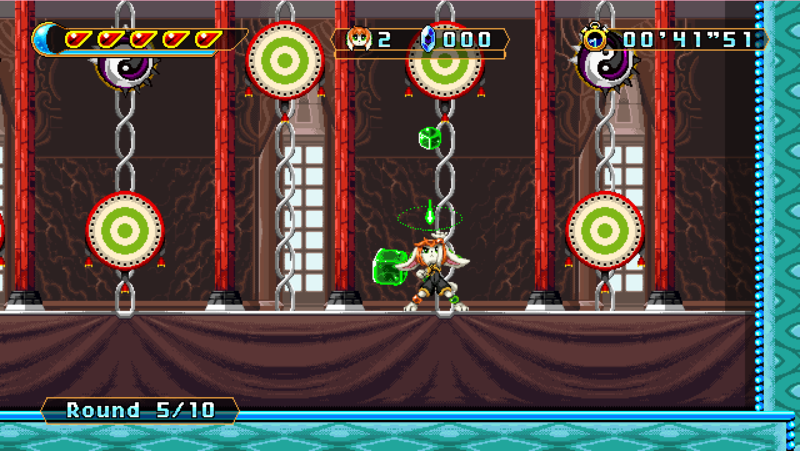 Here's a sneak peek at Shuigang Palace. 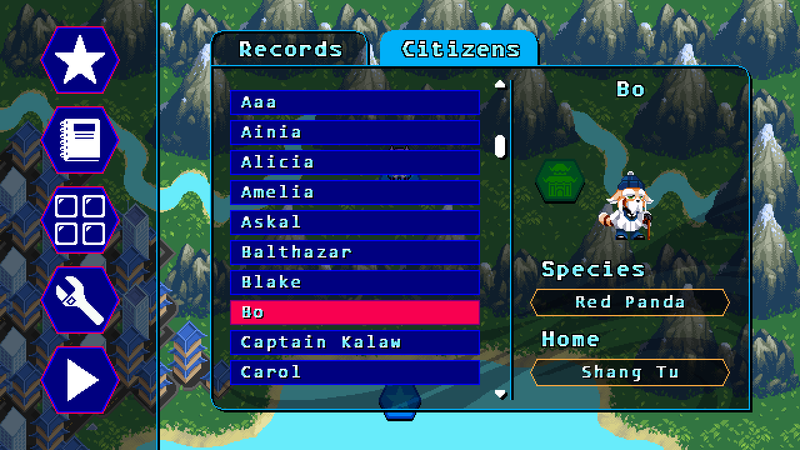 Citizens you interact with are added to a list that you can access on the world map. 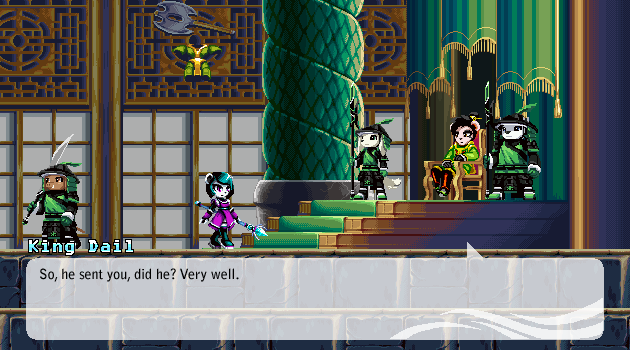 If you include the main cast, there are over 100 citizens with their own unique appearance, dialog, and animations! We'll be showcasing some of our favorites next year. 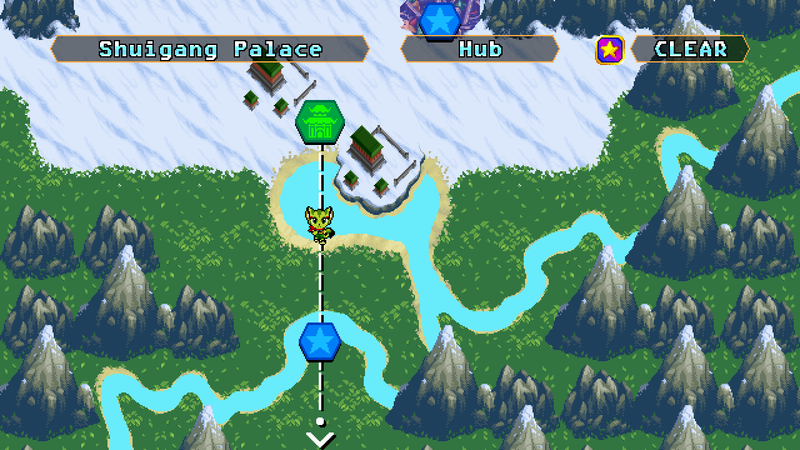 One last feature that's exclusive to Adventure mode are Gong's training challenges. 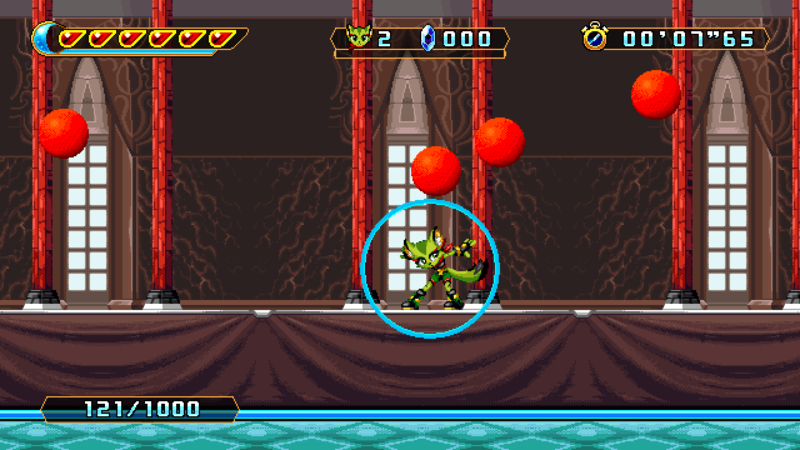 Bust through waves of target drums, test your guarding abilities with some dodgeball, or spar against Gong, Lilac, Carol, Milla, Neera, and Askal in friendly battles. 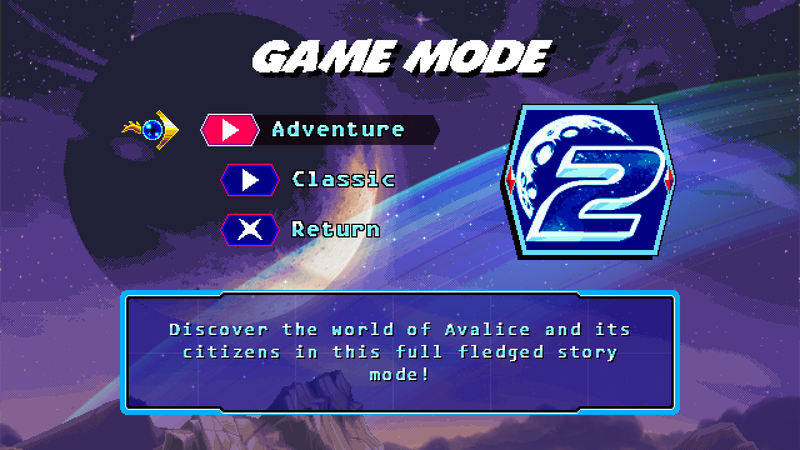 Classic mode is more unique from Adventure this time, featuring a grid map for quick and easy access to any stage. 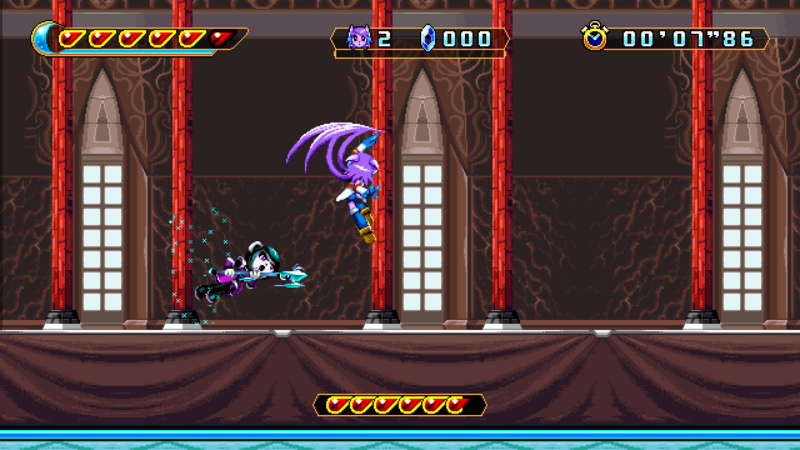 Completing certain stages will unlock multiple new stages that you can tackle in any order you'd like. 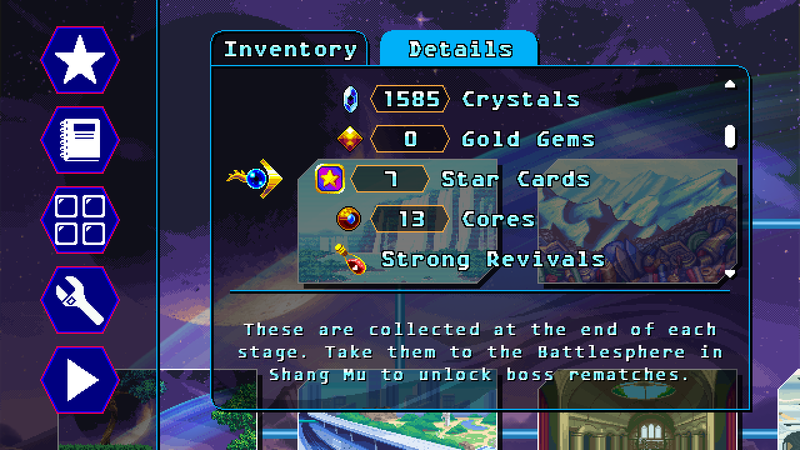 Some stages on the grid require a certain number of Star Cards to unlock, which are collected after defeating bosses. 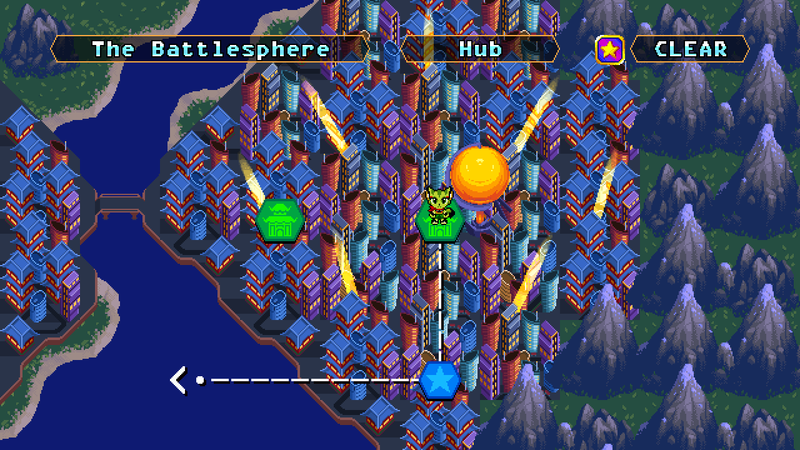 The Battlesphere is a special case, where you're given a Star Card after clearing a certain number of challenges. 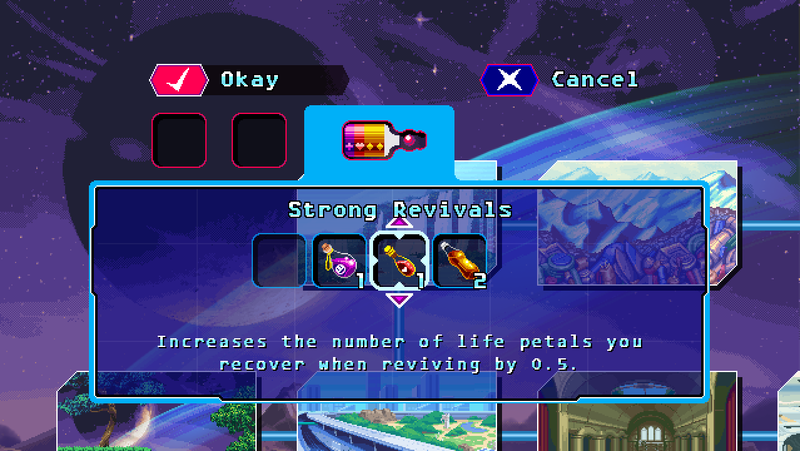 Classic Mode also features a universal shop where you can buy everything you need. 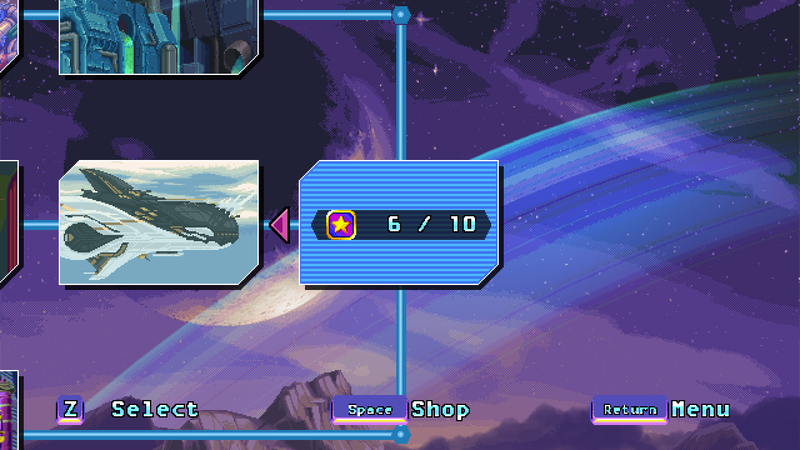 You can still find some items for free by exploring the stages, but the shop gives you the option to pay extra for convenience. 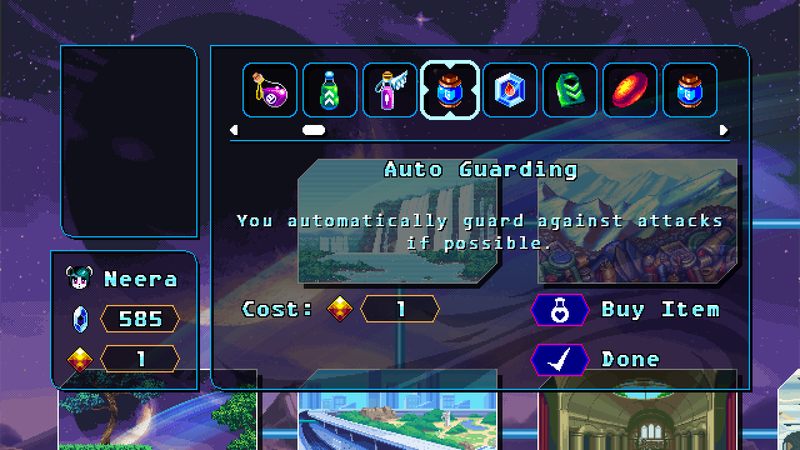 You can customize your item set before each stage, which includes potion brewing! Mix and match different ingredients to create a combined effect that suits your play style. 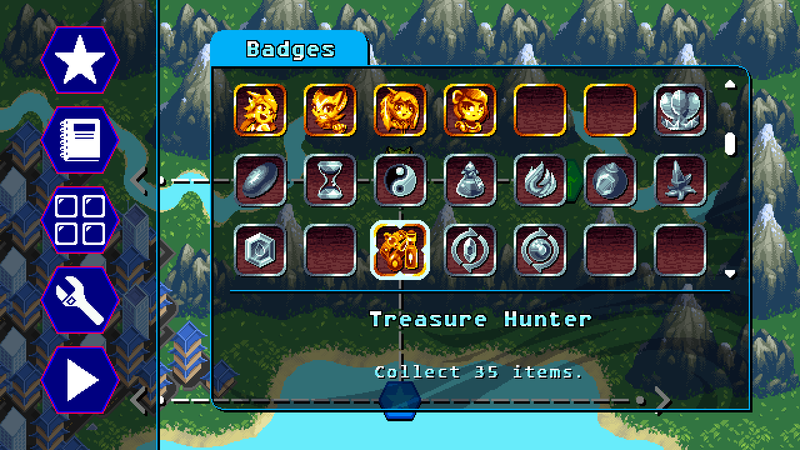 Both game modes allow you to view the details of your item collection through the pause menu, as well as checking your time records, badges, and game settings. 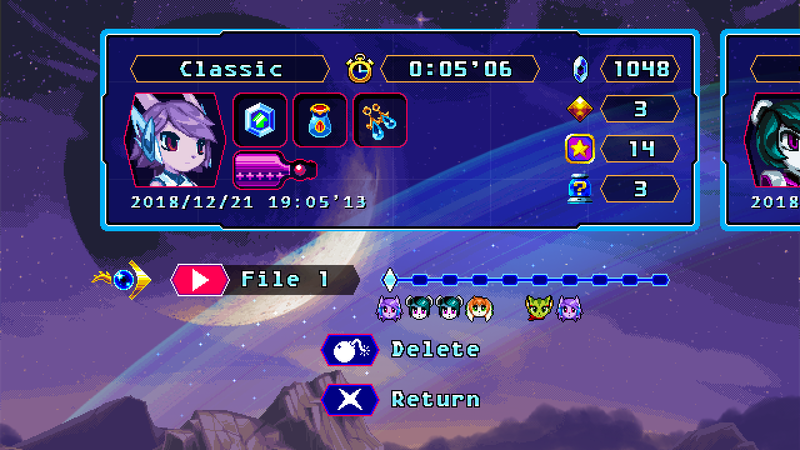 Here's what the new file select menu looks like! With all that empty space in the middle, there's bound to be a way to upgrade the size of your inventory and potion bottle, right? 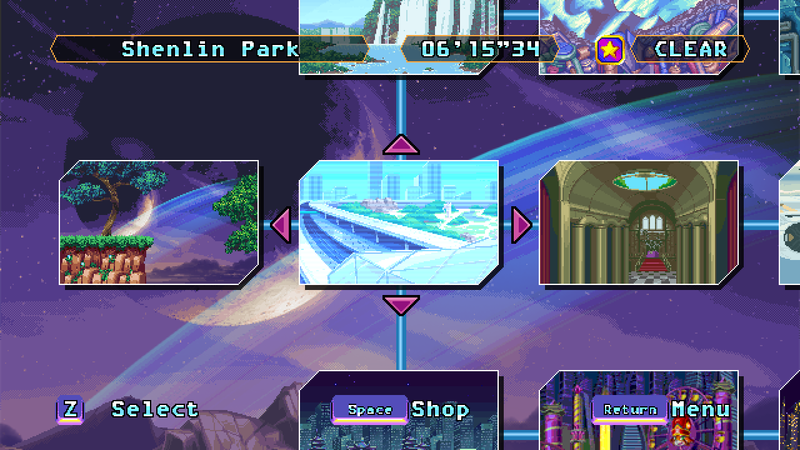 Lastly, the game's final stage count is set in stone. 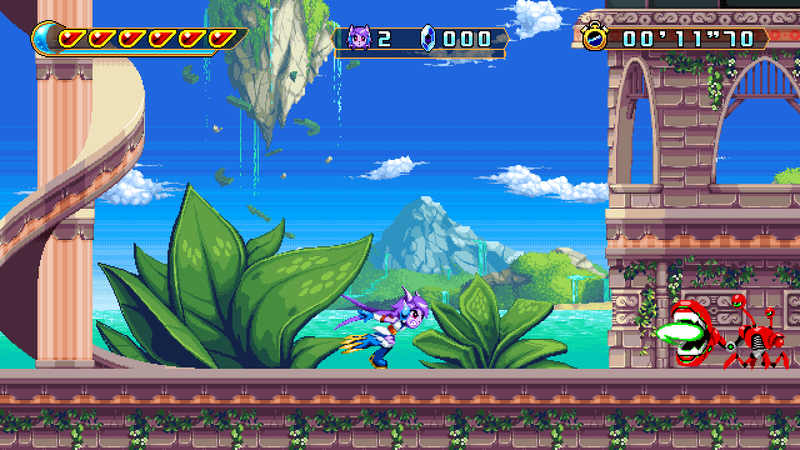 If we exclude boss-only stages, Freedom Planet 2 has a whopping 24 stages - a notable step up from the 14 stages of the original! The stages that take place on the mainland (Shang Tu, Shang Mu and Shuigang) are mostly complete, so we'll be turning our attention to the island chain of Parusa in the coming months. 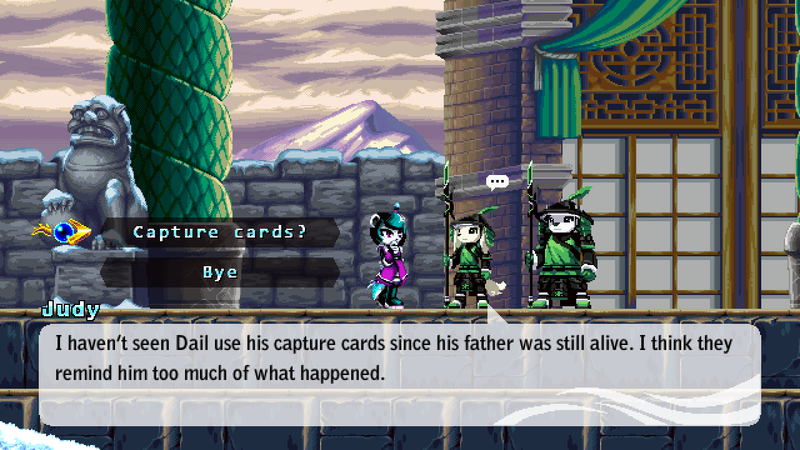 What is this place and how is it connected to Bakunawa?